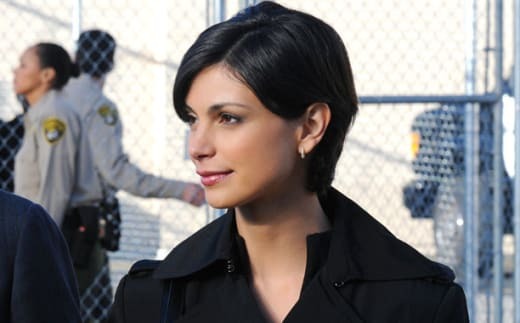 Morena Baccarin likely won't be seen on Homeland season 4. But the actress is headed back to The Mentalist. Sources confirm that the actress will reprise her role as sociopath Erika Flynn, the woman who previously seduced and manipulated Simon Baker’s Patrick Jane. According to the official synopsis of The Mentalist Season 7 Season 3, Jane and Flynn will team up in Beirut, where he and Lisbon have headed at the request of the CIA to take down an international weapons dealer. Flynn will agree to assist Jane and the agency in exchange for a pardon on the murder charges she’s still facing, along with the chance to return to the United States. However... can she really be trusted? We'll find out in early 2015 when The Mentalist returns.